What do the colours of Navratri mean? As a little girl, I always looked forward to the Navratris. The fervour of this nine-day long celebration excited me more than Diwali, as it meant dressing up in colourful costumes and dancing the garba with friends. All of us would dress up in a particular colour each day, and would wait to admire each other’s colour-coded costumes. It was during this time each year that my grandmother answered my incessant questions about significance of each of the nine days. 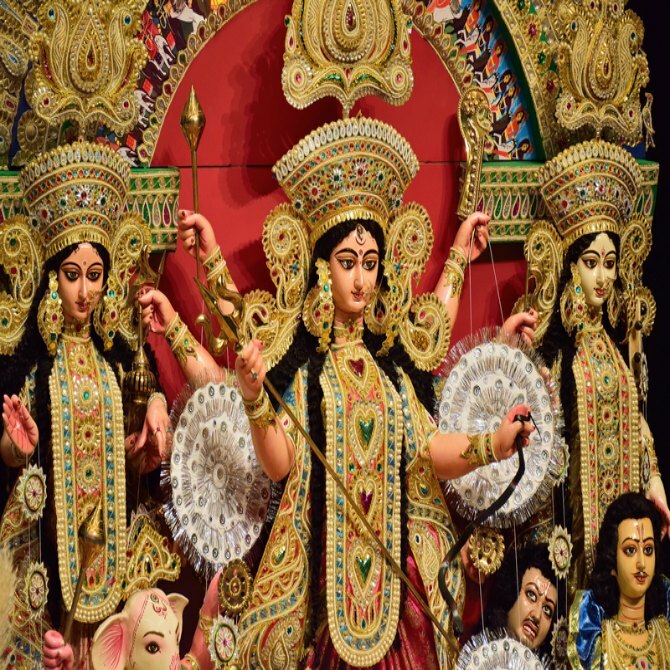 "Each day is dedicated to the nine forms of Goddess Durga. She would represent different qualities and is dressed in a particular colour,” my grandmother would explain. Now when my children ask me questions about Navratri, I try my best to do justice to grandma’s stories. If you too want to know what each colour of the festival of nine auspicious nights signifies, we’ve tried to spell it out for you. Click on next. Go green with this 'hatke' birthday party!